We don’t usually cover lodging deals, because they’re usually not deals at all — just a slight discount on if you bought the items separately. However, we still come across some outstanding steals on where to spend the night like this one at Sipapu in New Mexico. The small and family-friendly ski hill will hook you up with a bed with only the purchase of a $44 lift ticket. 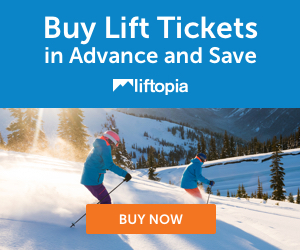 Sipapu Ski and Summer Resort is again offering our most popular special: stay for FREE at our hotel with the purchase of one $44 lift ticket! Located just steps from our base lifts, the hotel units include two queen beds and a full bathroom. To get this special, mention the FREE LODGING DEAL when you are making your reservation and picking up your lift ticket. Subject to availability. The FREE room must be used the night before or the day of lift ticket purchase, and Sipapu will issue 1 (one) lift ticket per day. This deal may not be combined with other specials, including our ski school packages (and our First 3 Lessons FREE offer). For more information, call 800-587-2240. All reservation changes and/or cancellations are subject to Sipapu’s cancellation policy. For more information, please call 800-587-2240.